Handmade with care from crushed velvet, the Medieval Alvina Dress features an elegant luster decorated with golden lace trim around its round neckline, included belt, and along the hems of its luxurious, floor length sleeves. The belt, cinched with a cord at the back of the dress, features an elongated panel that decorates the front. Inspired by the dresses of the medieval era, this historic dress can be worn with a petticoat, not included, to emphasize the shimmering fabric and extravagant volume of its skirt. 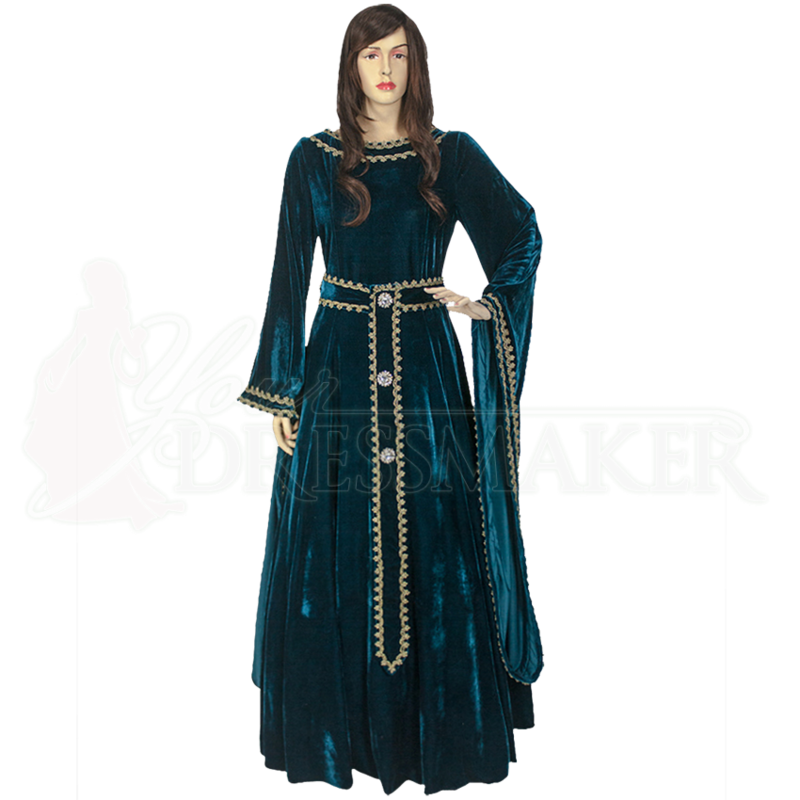 Clothe yourself in the graceful fashion of a historic noblewoman when you wear the Medieval Alvina Dress to your next historic reenactment event, Renaissance festival, or LARP gathering.